When I have tried to track the food I am eating as part of a diet, entering the key nutrition elements was not always convenient. Since I haven't seen a WeightWatchers product for reading nutritional values from a picture, I thought it would be a cool thing to prototype. 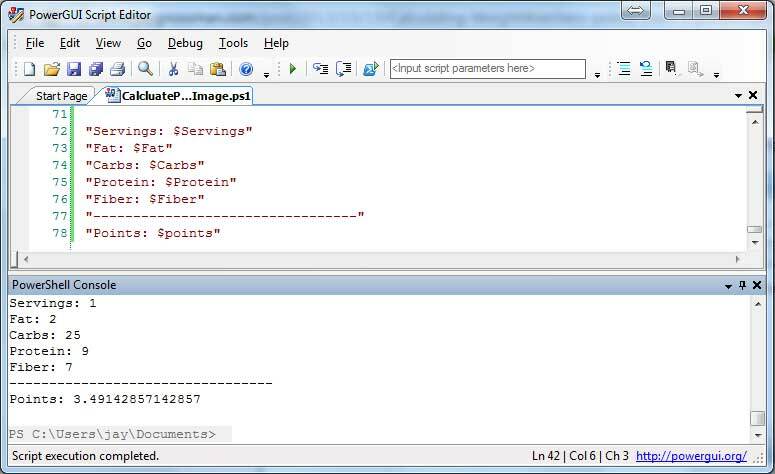 Execute tesseract to output a text file. Calculated the WeightWatchers Points valuations based on these values. I am really psyched I was able to get this functionality working in under 3 hours. It's really important to do this kind of exercise from time to time. None of the OCR options I found were anywhere close to perfect at parsing all the text from this image. There's a bunch of assumptions and fuzzy logic transformation rules that a production quality version would require. I tried to run some of the libraries with other pictures. I realized quickly that picture quality (size, resolution, and clarity) and lighting glares make a huge difference on how accurately the text in the image gets recognized. This is not a trivial challenge in production! I was pleasantly surprised that tesseract was able to understand most of the text on the page, including the text written sideways on the right side of the picture.